OFFICIAL ANTLABS DISTRIBUTOR: Peacey Systems has been distributing ANTlabs gateways since 2007 providing an excellent product and installation assistance to our vendor partners. Peacey Systems is a true wholesale provider and does not compete with our partner integrators. IG 4 supports the needs of guest networks such as hotels, waiting rooms, business centers and F&B. It is an all-in-one gateway targeted at the hospitality sector. Built on the success of its predecessor, the InnGate, IG 4 has an even better and advanced bandwidth management, more authentication methods, and analytics. Prologic, Comtrol, Protel, Agilysys, etc. Start small with this full-featured gateway, and pick only the features you need for your network. An all-in-one Service Management Platform, the ANTlabs IG 4100 is ideal for smaller (100-150 room) properties such as boutique hotels, hostels, healthcare facilities and many more. Run your network the way you want it. With the IG 4100’s enterprise-grade features, choose the modules you need and get them when you need them. IG 4100 comes with High Availability module. From there, you can customize your gateway’s features further by picking the add-on modules you need. A better all-in-one Service Management Platform to monetize existing Internet services, maximize limited bandwidth, and improve user experience. 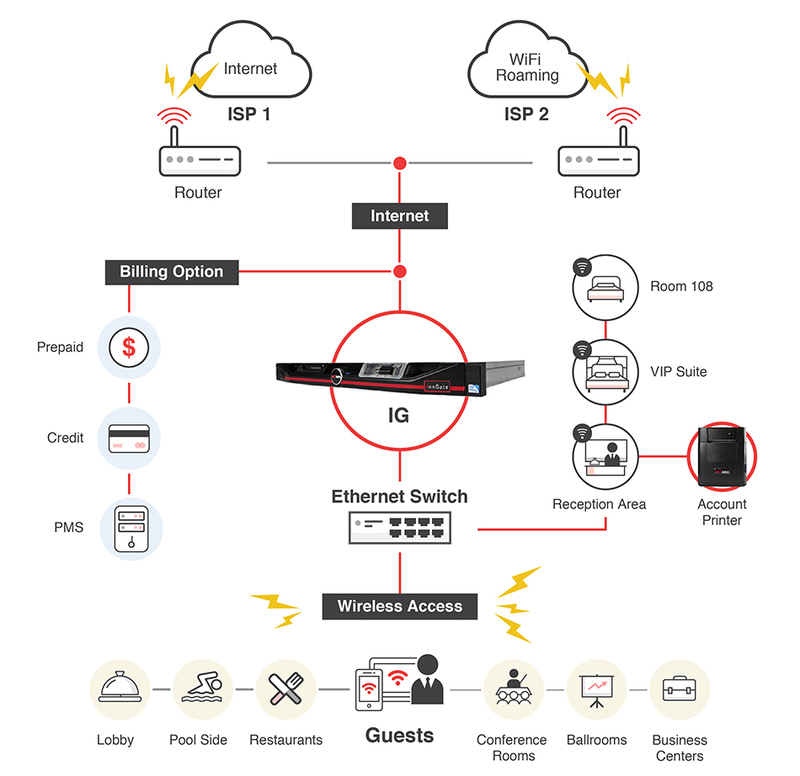 Designed for the hospitality sector, the ANTlabs IG 4200 meets the High Speed Internet Access (HSIA) needs of guest networks such as hotels, waiting rooms, business centers and F&B, while allowing hoteliers to roll out free HSIA WiFi that pays for itself. 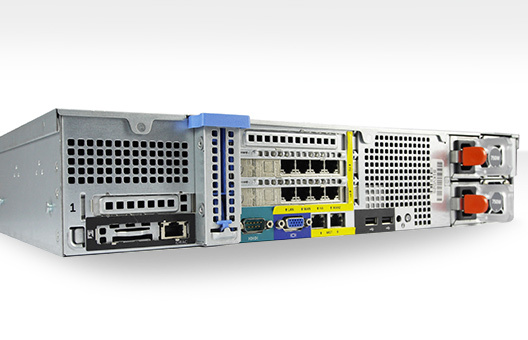 Built on the success of its predecessor, the Inngate, IG 4200 has an even better and advanced bandwidth management, more authentication methods (i.e. login via Facebook, Google+, and Twitter) and analytics. The IG 4200’s integration with social media also opens up opportunities for hoteliers to build followings and tap the power of digital word-of-mouth. Tight integration with many Property Management Systems allows the IG 4200 to automatically identify guests and provision wireless access. This reduces labor costs while improving guests’ wireless experience. Combined with Advanced QoS, hoteliers can offer different tiers of service to different types of guests – such as unlimited bandwidth for VIPs. This generates revenue through paid WiFi plans, helping to turn a hotel’s HSIA from cost center to revenue center. 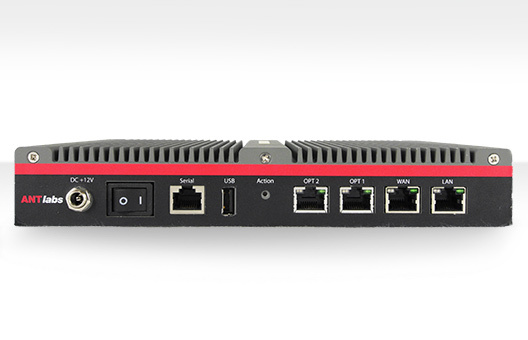 The IG 4 lets you aggregate up to 2 separate ISP circuits for improved Internet speeds, providing link redundancy through automated failover. It reduces support issues caused by low end load balancers by using source-IP connection persistency.It also works seamlessly with the IG 4 Lawful Intercept modules and High Availability modules. The Ig 4 can communicate with an internal network without first going through the Internet. This provides a dedicated link, separate from the WAN and LAN.This Management Port is useful for connecting to corporate servers such as property management servers, web servers, and DNS servers. The full HA module allows automated failover, configuration synchronization and user session synchronization.So, in the event of a failover from faulty master nodes to backup nodes, users will not need to login again. Through a flexible step-by-step wizard, customize, preview and generate the entire look and feel of your login portal.Add pre-login advertisements, terms and conditions agreements, header/footer/copyright sections, logo/background/location specific images, and more. Assign access to different functions based on staff responsibilities: front-desk, helpdesk, and so on. Actions performed are logged in audit trails. The IG 4 works seamlessly with a user account printer, enabling one-touchgenerating and printing of login account credentials.With auto-account generation and backend management, and programmable buttons for different types of accounts, give your guests instant Internet access as part of their check-in package. Apart from traditional service plans and access methods, the IG 4 also allows you to create volume prepaid plans based on amount of data used.In addition, the access code authentication method allows you to provision for login accounts that do not require passwords. And because IG 4 natively supports SNMP traps, administrators can be alertedof DoS attempts and service disruptions immediately. The IG 4 keeps comprehensive logs of tracked devices, sessions, and users, searchable for troubleshooting and investigation purposes. Gigabit ports are default on all IG 4 models so you maximize available bandwidth on the network infrastructure. System maintenance has never been easier with the IG 4. Schedule the system to auto-delete, compress and email existing system reports as part of regular system maintenance, and purge expired user accounts while emailing the details for record keeping. Giving Your Guests Quality Internet Access Has Never Been Easier. Today’s media-rich Internet is putting ever-increasing demand on broadband networks. Users are carrying more and more bandwidth-hogging devices, and expecting a lot from their WiFi service. Even if that service is complimentary. Free access is not good enough – in any event, a congested WiFi network is not attractive. Can you offer both free and paid Internet services, tailored for all kinds of users, with full assurance that the paying ones get their money’s worth in quality of service? And are you even getting the most out of your current broadband connection? Create your own free and paid tiers from the InnGate’s built-in Internet service plans, and integrate your own custom systems through its API if needed. Then offer guests immediate connectivity using a one-touch account slip printer that interfaces with common Property Management Systems for billing. Control network usage through the InnGate’s bandwidth management features: volume prepaid, session rate limits, and more. Ensure business traffic is prioritized while P2P and streaming is throttled. Intelligent, dynamic traffic management and flexible time/volume accounting – all in one box. 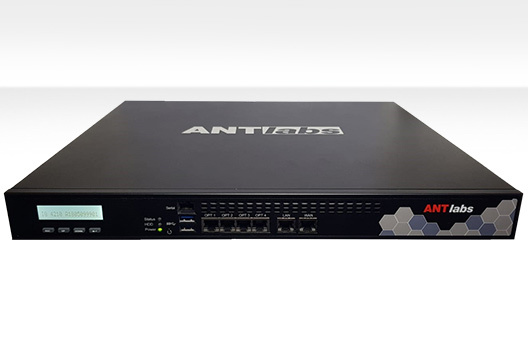 Built specially for large venue networking needs, the ANTlabs SG 4 gateway is a cost-effective, all-in-one solution for venue owners to manage and monetize their public access networks effectively. MICE centers and shopping malls have tremendous potential to turn their public WiFi networks from cost centers into revenue centers, while educational institutions can guarantee consistent high bandwidth across campus to enable true ‘connected learning’. Identify users, give them access to the network, and bill them for what they use. Offer login methods to suit different types of users, with different capabilities for identifying themselves. Offer service levels to satisfy different types of users. This will also affect their willingness to pay. Vary service offerings to cater to different usage needs and patterns. The SG4 addresses these in a single box, providing differentiated access through bandwidth control, as well as integration with social media for easy authentication and customer insights. With the SG 4, public WiFi networks can be optimized, and even monetized by tailoring the service experience (and pricing) to fit the varied demands of different groups of customers. 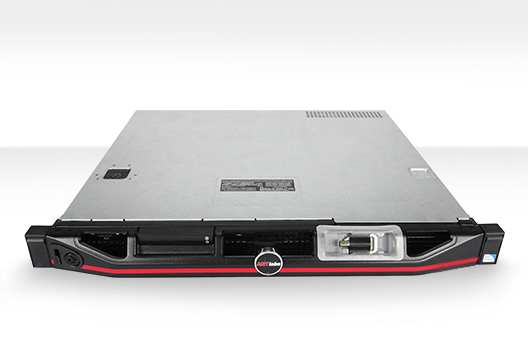 The ideal carrier-class solution for deploying large-scale broadband networks. Deploy broadband networks with hundreds of thousands of subscribers, such as city-wide WiFi, multi-tenant units (MTU), and infrastructure wholesale networks. The ANTlabs Service Selection Gateway (SSG) is designed to support connectivity needs of up to 10,000 active users and 2,000 unique locations concurrently. The latest SSG builds on its predecessor’s unparalleled success, that has enabled ANTlabs to become ASEAN’s market leader in enabling wireless broadband hotspots. Telcos and ISPs seeking carrier-grade WiFi to expand subscriber services and revenues. Cable operators and ISPs using WiFi to build up their networks cost-effectively. Building owners looking to resell network infrastructure to telcos and ISPs as a revenue source. Municipal and metropolitan authorities deploying city-wide wireless access. With the SSG’s zero-configuration technology, featuring subscriber- and device-aware provisioning, WiFi users can be quickly onboarded and serviced. This keeps the cost of acquiring and supporting subscribers to a minimum. The SSG can scale to handle high-throughput network traffic, together with a high concurrency of devices and users in the network. This meets the demands of infrastructure where high data traffic is expected – such as due to more smartphone users consuming video content. The SSG’s technologies enable new services to be delivered over the WiFi infrastructure. One key feature is the creation of multiple virtual networks, via virtual routing, to be ‘resold’ to operators or enterprises. The SSG can route data traffic to resellers’ network for users belonging to the reseller. The SSG can also function like a RADIUS proxy to route RADIUS authentication to different backend RADIUS servers based on user domain. This is typically used in a multi-service provider environment, where one resells its wireless infrastructure to other service providers (including integration with roaming aggregators like iPass and Boingo). The SSG allows WISPr-compliant clients (like iPassConnect and Boingo) to authenticate without using a web-based login portal. This provides a seamless, familiar login method for users accustomed to using their clients wherever they go. This is typically used by telcos, ISPs and some hospitality operators to connect hotspots to the roaming aggregator’s network for roaming revenue. In Mobile Offload platforms, the SSG can do local breaks – routing user payloads directly to the Internet via a front-end gateway, and back to GGSN/PDG through secure tunnels via Tru’IP. 3. Click on ‘Subscribe’ to subscribe the gateway or click ‘Extend’ to extend the current subscription of the selected gateway. 4. In Voucher Activation page, key in the Voucher Code and the Captcha characters. Click ‘Activate Now’. The confirmation popup will be displayed. 5. Click ‘Confirm’ to proceed. A success popup will be shown when activation is successful. 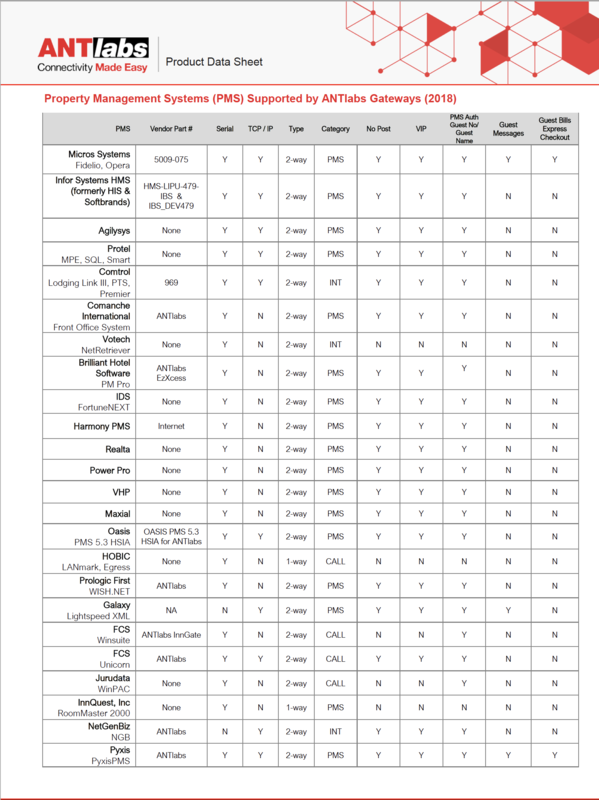 Real map to monitor the status of Network Health of all sites depending upon the roles and permissions: Site Details, Site Status (Healthy, Unhealthy, Critical), Reasons for failure, System Statistics. Interactive dashboards and drill down graphs for non-technical user with the ability to access data and build business intelligence reports and analytics. Centralized management and deployment of welcome portal on a group or site level. Extremely flexible and customizable welcome portals and landing pages. Users can login using their social media accounts (Facebook, Twitter, Google+). Venue owners can choose to give complimentary WiFi, require user ID & password / access code, allow WiFi access purchase via credit card, or fill up a registration form for access. Ability to connect with User’s Facebook or Google Account. Details of each user are consolidated from various sources to help in designing campaigns and marketing. Allows to define a fixed guaranteed bandwidth for certain users. Intelligent bandwidth management for limiting session volume. Amplify sales through efficient & effective advertising platform. Leverage on WiFi access to draw customers & get them stay longer. Make decisions based on real data through analytics. Each user gets fast and secure Internet access, regardless of how packed your site is. Login using the authentication method that is most convenient to you. Stay connected as you go from one venue to another with ACS seamless relogin. Get exclusive offers and deals tailored to your likes. A proven, scalable AAA and provisioning system that meets the requirements of the most demanding and diverse telco, ISP and service provider environments. Deployed in various telco, ISP and service provider overview environments, ANTlabs Tru’Auth RADIUS enables quick and effective deployment of tiered and differentiated services across combinations of WiFi, 3G/4G and broadband networks. The system can be used to provision and bill dynamic and permanent user accounts – and for the authentication, authorisation and accounting of these accounts. Tru’Auth RADIUS natively supports many flexible AAA methods, which can be extended to roll out customisable AAA functions for specific requirements. The system’s interoperability can also be extended with 3rd-party Vendor Specific Attributes (VSAs), many of which it comes pre-configured with. In addition, Tru’Auth RADIUS APIs allow integration with external provisioning, OSS/BSS and portal systems. Tru’Auth RADIUS is able to place as both a 3GPP-AAA server and a RADIUS policy server. It is the key node to integrate operator network nodes, such as PCRF, OCS, and OFCS, to retrieve necessary information elements for service completion. Tru’Auth provides multi-level, web-based administration, template-based account creation, and searchable graphical reports. 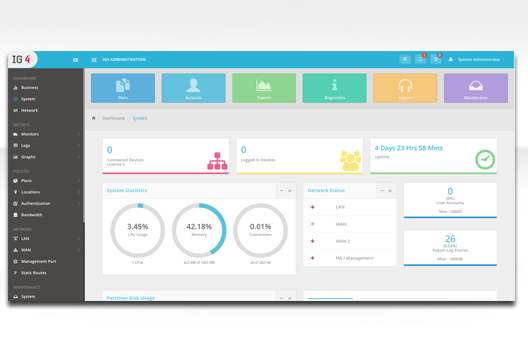 A subscriber dashboard feature allows customer care personnel to quickly determine subscriber usage and login issues. Tru’Auth natively supports many flexible authentication, authorization and accounting methods. Extend these to roll out customisable AAA functions for specific requirements. Tru’Auth also comes pre-configured with many 3rd-party Vendor Specific Attributes(VSAs). Add new VSAs to further extend its interoperability. Furthermore, Tru’Auth APIs allow integration with external provisioning, OSS/BSS and portal systems. Deployed in a standard single-server setup, Tru’Auth can support up to 1,000 radius transactions per second – with much higher performance achievable in a clustered environment. Tru’Auth supports High Availability (HA) with automated failover and session synchronization. This minimizes service downtime, and requires configuration only on the primary system. In addition, Tru’Auth can be deployed in 2 geographically different locations in a disaster recovery (DR) mode. IG4 now includes 2-tier QoS support: Premium Tier and Complimentary Tier., giving you even more options to maximize your available bandwidth while up-selling connectivity options. The new design of the IG4 makes it much more robust to “deploy once and forget forever”. 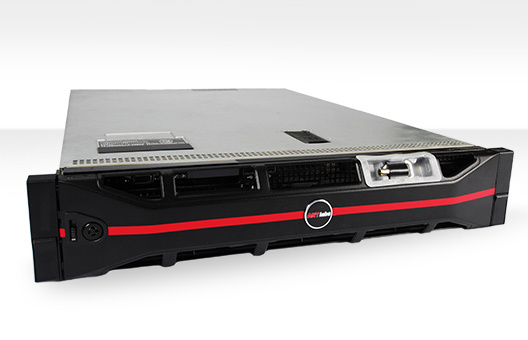 Its fan-less and dust-free chassis design minimizes the chance of component failures. With its screw-in power connector, the chance of accidentally disconnecting the power cable is also a thing of the past. IG4 comes with a one year Premium Bundle support. This means that you shall get software and hardware support for your first year. You have the option to purchase support plans for the subsequent years. This support bundle gives you unlimited access to upgrades and patches, and 24/7 tech support. Listed below are Comtrol’s Hospitality Partners who have chosen to use Lodging Link as their PMS interfacing solution. Agilysys is one of the leading technology providers in the worldwide hospitality market. We offer proven software, services, hardware and consultation for hotels, casinos, destination resorts, condominiums and conference centers to streamline operations and enhance guest satisfaction while maximizing profitability. PMS System(s): Visual One and rGuest Stay. Unlike traditional vacation ownership resorts, the Hyatt Vacation Club’s luxury accommodations are available for weekly stays, or you can make a reservation for any number of available nights. Each residential-style vacation condominium offers elegant appointments with all the comforts of home. iHotelligence is a scalable, flexible and reliable integrated Hotel Management solution for hotels, incorporating PMS, Integrated Booking Engine and Channel Management, CRM, Rate & Yield Management, BI, and reporting functionality and finance suite. The system helps you improve sales, reduce costs, and eliminate innefficiency. innRoad is the only Software-as-a-Service (Saas) hotel software solution that seamlessly integrates property management, global distribution, reservations booking, marketing, and revenue management on a single, easy-to-use platform designed specifically for independent hoteliers, hotel chains, and hotel management companies. The vision of innRoad is to make management and selling of hotel rooms easy from anywhere, any time, through any channel, using any device, empowering hoteliers to gain control of their assets while benefiting from superior customer support. 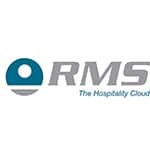 Multi-Systems, Inc / REMco Software Inc.
Skyware Systems specializes in software solutions for the hospitality industry. Our main products are Skyware PMX for Hotel Front Office operations and Skyware Sales and Catering for Conference Center operations. – a full functioning, feature rich, totally web based solution. Driven by the need for hoteliers needs to raise service levels to respond to the needs of today’s guests and increase hotel revenues, StayNTouch delivers a cloud-based Hotel PMS and a suite of tablet-based solutions to optimize the existing PMS and make it mobile. The company’s PMS Mobile Overlay brings mobility to both hotel staff and guests in order to drive guest revenue while enhancing the guest experience. Via any tablet or touch device, Guest Service and Housekeeping have mobile access to PMS via a touch-optimized interface. Guests, from their smart phone, can self check-in and out, view room bill and receive upgrade promotions. StayNTouch dramatically streamlines operations and increases margins, and revolutionizes how the hotels connect and engage their guests and how guests experience their hotels. StayNTouch partners with many of the most forward thinking brands in the industry. PMS System(s): Rover PMS. We need your kind assistance to establish certain parameters to verify what the problem might be . Please check the gateway using the following instructions and let us know the details of the outcome. – Connect a Monitor and a Keyboard, press any key and capture a photo of the screen displayed on the monitor. – Configure the PC/Laptop with a IP address of the same subnet as the IG3 E-Series WAN IP (default 192.168.0.1). ANTlabs will provide telephone support for any Product covered by this T&C Document. Such support will consist of responding to trouble calls as reasonably required to make the Product perform as described in the current product specifications. Customer support will be provided in accordance with ANTlabs’ support policies that are found in the document Product Support Policies and Procedures. ANTlabs will provide support via email (tech-support@antlabs.com) for any Product covered by this T&C Document. Customer is entitled, at no charge, to software patches/updates of covered products, such as bug fixes and new releases that are generally made available at no additional cost to ANTlabs’ customers that have a valid product software subscription for the relevant time period. 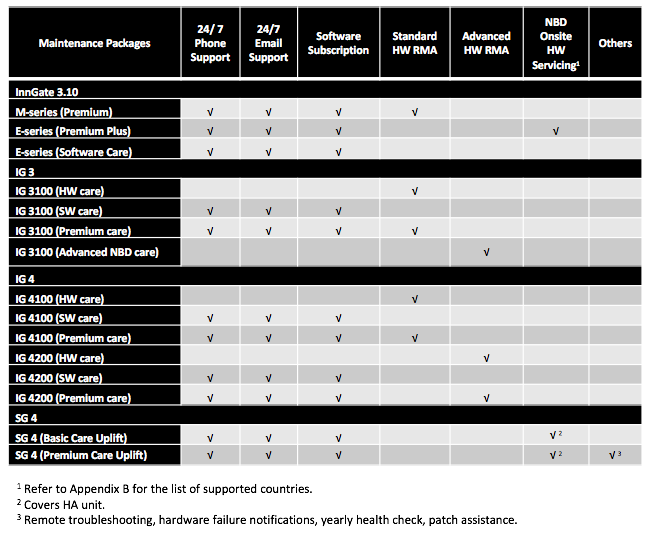 The foregoing right shall not include any options, upgrades or future products which ANTlabs or third party vendors charge for as a separate product or where Customer’s installed hardware platform has no further upgrades available according to either (i) the applicable product release notes provided with each release or (ii) a written end-of-life announcement communicated to Customer by ANTlabs. ANTlabs is not obligated to provide hardware upgrades to ensure compatibility with new software versions of its products or to ensure that new software versions of its products are compatible with outdated hardware platforms. This is an advanced hardware replacement / servicing option whereby replacements parts and our support engineer are sent to customer site on the next business day upon confirmation of RMA. This support option can place a certified engineer at the customer’s location the following business day, after completion of troubleshooting when ANTlabs support accepts and logs a system hardware fault before 16:00 Monday to Friday, subject to parts availability. Service is performed on-site at the customer’s location and is available Monday – Friday from 9:00 to 17:00 excluding normally observed local holidays.